Genuine Longjia. To Fit Longjia LJ50QT-3L. Part plugs straight. in and ready to work. Next big point on the bgm item is that it can be cleaned with brake cleaner or similar fluids. Higher airflow, hence more power. VESPA / LAMBRETTA. The massive aluminum clamp is ideal to attach the mirror to the slit pipe of the leg shield. The pretty cap nuts clamp the mirror while always safe and secure, on the mirror body, the clamp is damped in a rubber. Rear light unit for the VESPA GTS from 2005 to 2014 years! 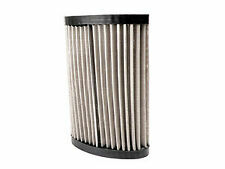 genuine oem part numbers: 58266R. 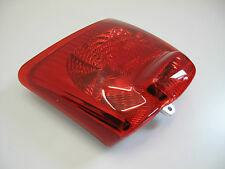 Taillight unit Honda Bali 100 EX SJ100V BJ 1997. Spotlights and lighting. Drive parts. Our opening hours are Fri 10.30 am - 17 00 watch. Stand side stand. Minor storage marks (scratches) can present his. LEGSHIELD RUBBER TRIM. Vespa PX 125 150 200 T5 LML Star Deluxe. 1650mm LONG SINGLE PIECE. REAR LIGHT LENS. THIS IS QUALITY STANLEY LENS MADE IN JAPAN. MAY FIT OTHER MODELS. THIS PART HAS BEEN IN DRY STORAGE FOR OVER 15 YEARS. FOR: Lambretta 12V (Lambretta LI series 3&2 (1961-onwards), LI Special, SX, TV series 3&2 (1961-onwards) - 12V). LED rear light reflector to suit all Lambrettas. Every single LED is used for the rear light as well as fort he brake light. They are easy to install, simply bolting in place of the existing OEM unit and benefitting from OEM block connectors for quick and hassle-free wiring. Bike It LED Rear Tail Light With Clear Lens And Integral Indicators - #K014. SKU#:PART13003. Brake Light (36V) with 2 wires. Brake Light, with 2 wires. FT500WF36V Zida 500WF36V with Fishhead Headlight. FT500WF36VF Zida 500WF36VF with Fishhead Headlight. FT500WF36VC Zida 500WF36VC with Fishhead Headlight. Taillight for GS-811 (3 wires). Light Bulb PART 13M036 12V 21W/5W. PART13M036 Light Bulb (12V 21W/5W). TP Peace Sports. GS-811 Peace 49cc Scooter. Type TAILLIGHT. Other (1) © 2003-2017 Fancy Scooters LLC. VESPA PX125 CAT 125 ZAPM50100 2T AC `07- PX MY. VESPA PX125 E '98 / Millenium 125 VNX2T 2T AC `98-`05 PX MY. VESPA PX150 E '98 / Millenium 150 VLX1T 2T AC `98 PX MY. VESPA PX200 E '98 / Millenium 200 VSX1T 2T AC `98- PX MY. Bike It LED Rear Tail Light With Cool Grey Lens - #S151. Feature 1: Bike It cool grey smoked lens LED Rear Lights incorporate red LED’s in the stop/tail function, but do not have integral indicators. Bike It LED Rear Tail Light With Cool Grey Lens - #H107. Feature 1: Bike It cool grey smoked lens LED Rear Lights incorporate red LED’s in the stop/tail function, but do not have integral indicators. TP Peace Sports. GS-824 Peace 49cc Scooter. Triple Tree Bearings (5). fuse,fuse basket (4). Gear Pedal/Kick Start (13). shocks,fork,T​riple Tree,etc (34). 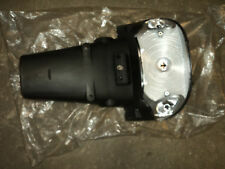 Light bulb 12V 21/5 W, refer to PART 13065. engine muffler (1). High-quality LED tail light by Moto Nostra for Vespa GTS/GTV after 2014 Facelift Models. The number plate lights are also made in LED. 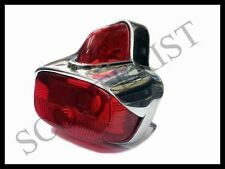 VESPA TAIL LAMP BRAKE REAR LIGHT LAMP SUPER / PRIYA with LIGHT BULB. Suitable for Vespa SUPER / SPRINT / PRIYA & OTHER MODEL. Rear Brake Light Lamp Assembly (Tail Light) with Light Bulb. WE WILL DO OUR BEST TO SORT OUT YOUR PROBLEM. Product Number 638646. New Part Number 58263R. vespa lx125 4t rear tail lamp. vespa lx50 4t rear tail lamp. vespa lxv50 2t. vespa lx50 2t. vespa lx150 4t. vespa lxv50 2t navy. 125 GT / GTR / TS / 150 Sprint Veloce / rally 180 / 200 rally. Teilebereich Beleuchtung & Blinker Rücklicht. Complete incl. Glass insert, cover, seal, lock washers and screws! Suitable for Lambretta GP. WE WILL DO OUR BEST TO SORT OUT YOUR PROBLEM. Lambretta Rear Brake Light Lamp Assembly (Tail Light). Suitable for Lambretta Li 150 Models Series 1,2 & 3. WE WILL DO OUR BEST TO SORT OUT YOUR PROBLEM. Handles, Locks & Lock Cables. Electrical & Lighting. Steering & Suspension. Mass Air Flow Sensors. Complete Engines. Need Assistance?. 0015452009,0015453809,0015458709,001 545 20 09, 001 545 38 09, 001 545 87 09. PX 125 150 200 EFL 1984-1999. T5 Classic. 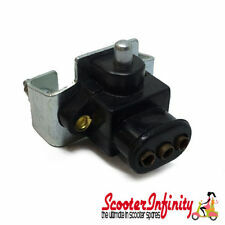 They are easy to install, simply bolting in place of the existing OEM unit and benefitting from OEM block connectors for quick and hassle-free wiring. 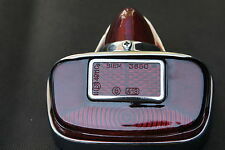 Bike It LED Rear Tail Light With Clear Lens And Integral Indicators - #S051. They are easy to install, simply bolting in place of the existing OEM unit and benefitting from OEM block connectors for quick and hassle-free wiring. Bike It LED Rear Tail Light With Clear Lens And Integral Indicators - #K051. They are easy to install, simply bolting in place of the existing OEM unit and benefitting from OEM block connectors for quick and hassle-free wiring. Bike It LED Rear Tail Light With Clear Lens And Integral Indicators - #S015. 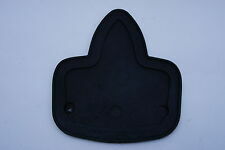 Suitable for any Lambretta or Vespa Front Rack. Bike It LED Rear Tail Light With Cool Grey Lens - #H162. Feature 1: Bike It cool grey smoked lens LED Rear Lights incorporate red LED’s in the stop/tail function, but do not have integral indicators. They are easy to install, simply bolting in place of the existing OEM unit and benefitting from OEM block connectors for quick and hassle-free wiring. Bike It LED Rear Tail Light With Clear Lens And Integral Indicators - #K044. They are easy to install, simply bolting in place of the existing OEM unit and benefitting from OEM block connectors for quick and hassle-free wiring. Bike It LED Rear Tail Light With Clear Lens And Integral Indicators - #D099. REAR BRAKE/TAIL LAMP FOR YAMAHA TOWNMATE. TAKEN OFF A 1984 BIKE. THERE IS A SMALL CRACK IN THE CASING BETWEN THE INDICATOR LENS AND BRAKE LAMP (SEE PICS)BUT IT IS STILL A SERVICEABLE ITEM. WILL REPAIR WITH GLUE. Rear light Taillight with bulb / Cable Rex RS 450-500 50cc. Taillight with orange turn signals no LED with E number. Our opening hours are Fri 10.30 am - 17 00 watch and. Hole spacing mount 11 cm, 14,5 cm and 28,5 cm. They are easy to install, simply bolting in place of the existing OEM unit and benefitting from OEM block connectors for quick and hassle-free wiring. Bike It LED Rear Tail Light With Clear Lens And Integral Indicators - #K002. Bike It LED Rear Tail Light With Cool Grey Lens - #S137. Feature 1: Bike It cool grey smoked lens LED Rear Lights incorporate red LED’s in the stop/tail function, but do not have integral indicators. 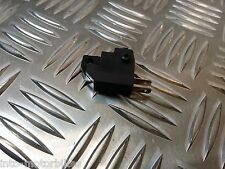 They are easy to install, simply bolting in place of the existing OEM unit and benefitting from OEM block connectors for quick and hassle-free wiring. Bike It LED Rear Tail Light With Clear Lens And Integral Indicators - #T097. Vespa 150 Sportique- VBA1T - (1959 - 1962). Here for sale is a used Vespa 150 Sportique (VBA1T) brake light unit, item is used and does show sign of its age. The red plastic outer lens is broken as i will show in pictures, missing top quarter. 2014 Piaggio MP3 Yourban 300 righthand taillight unit.Good condition. 2014 Piaggio MP3 Yourban 300 lefthand taillight unit.Good condition.